Why is my wall falling down? 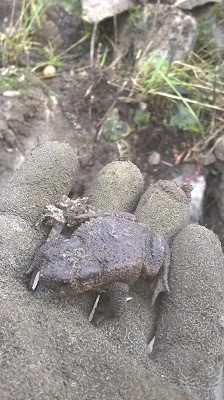 As this time of year approaches many creatures use drystone walls for hibernation, especially frogs and toads. They are always so sleepy as I carefully carry them over to another section of wall for them to crawl into. What to do when it's pouring with rain!